While most children are in love with the sports and cartoon character themed bedrooms, the novelty can quickly wear off once the teenage years start to set in. For most “tweenagers” the idea of their room looking like a little kid’s room is the furthest thing from being “cool” that you can fathom. Add life to your teen’s room by using colors that exist but adding modern themes, furniture and accessories to create a room they will love to hang out in. Whether you are planning to give your teenage child a makeover or just update it, here are tips to make a room they will love to bring their friends over to chill in. Your teenager knows the latest music, clothing styles, and places to hangout on the internet and all of this is possible through pop culture. Bring these decor items into their room with expressive wall art, furniture, and display decorative items that are thematic. A music fanatic would love to display cool guitars, electronic pianos and frame your teen’s concert tickets and program from the last music concert they attended. They will be surprised how they can transform their room with items they love, while still using the “bones” of their original childhood room. 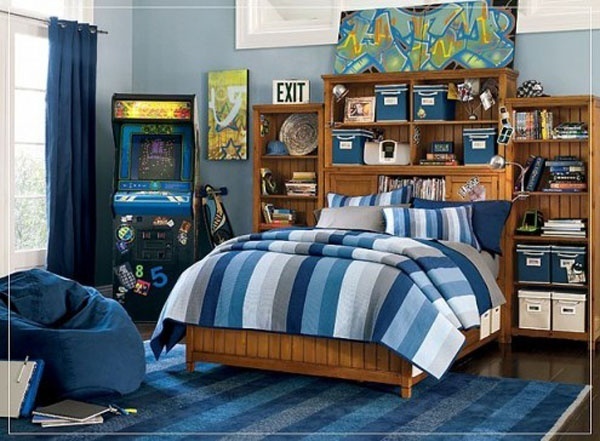 What boy wouldn’t love the arcade game in their modern room? While pink and blue are traditional colors for girl and boy’s room, different shades of these colors can help your teenager’s room look more mature, and no longer childish. 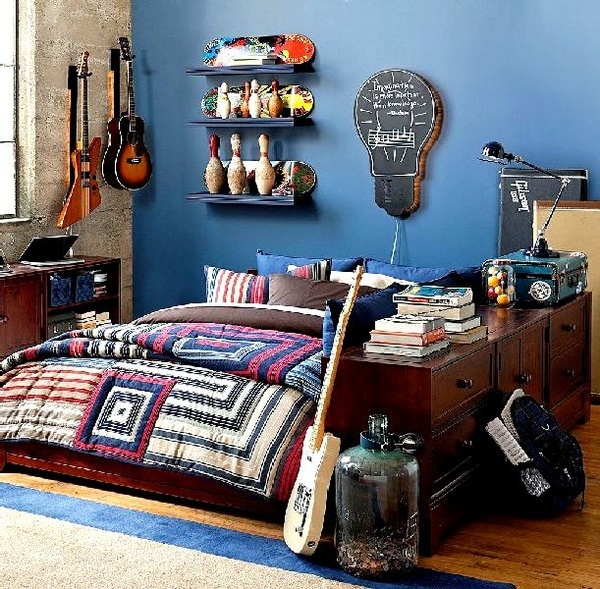 For boy’s room, instead of just baby blue, pair up the color with more modern royal and navy blue, grass and hunter greens, and natural browns to create a rustic or more mature and masculine room. For girls teenage room – a pastel pink could be paired with fuchsia, hot pink, black, or chocolate brown to create a modern twist on your daughter’s room. 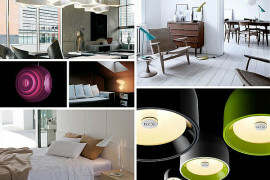 Gender neutral colors such as purple, orange, or green are wonderful options if your teenager can’t decide on a color. Also choose mature patterns for bedding and window treatments. A mature magenta is better than baby pink for teen girls. Have you visited a thrift store or a used sporting equipment store lately? They are a gold mine for your teenager’s room. Old surfboards, sporting equipment, and even decorative pillows and bedding from second-hand stores can make a creative room for your child. I love how these school lockers have been painted in whimsical colors and creates decor that they can relate to, looks awesome, and now creates new organization. A win-win for parents and teen! You don’t have to totally throw out everything from your teenager’s room when helping them modernize it. To help them make a creative space they enjoy, try using these helpful tips. From adding pop culture details and mature colors to re-purposing everyday items, they may forget the room used to be theirs. Since your teens are old enough to make their own decisions, ask them what they’d like to see in their room. While you might not agree on every design detail, there is always a happy medium. Help your teenager love their “corner of the world” in your home.